The Snow Garrett brand dates back to 1978 when the firm was originally founded. Our Parker County roots are important to us and nothing makes us happier than giving back to our community. Our team volunteers for and serves on the boards of various nonprofit organizations and is involved in many different civic organizations. 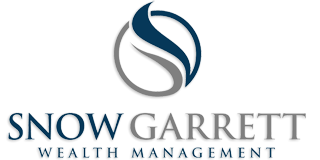 Snow Garrett Wealth Management is recognized as an industry leading financial services firm. Our firm has been voted as the "Best Financial Planning Firm" in Parker County by the Weatherford Democrat; Our principal has been named as a Five Star Wealth Manager by Texas Monthly Magazine for five consecutive years and has consistently been named as one of LPL Financial's Top Producers. As an independent financial services firm, we represent our clients and their interests rather than any specific company. While some financial institutions recommend proprietary investment products, we have no such ties. Our independence is vital to delivering objective strategies.